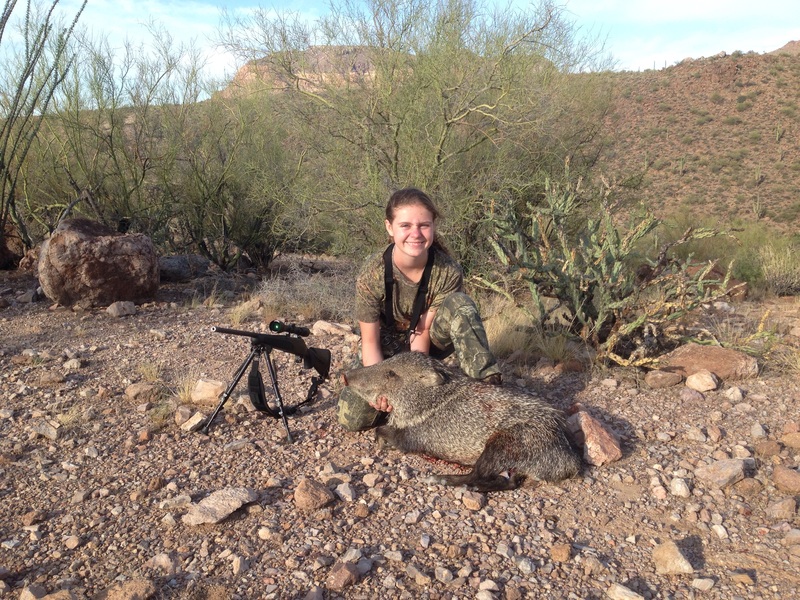 Are you a woman interested in learning how to hunt? Then this camp is for you!! This camp is made possible through a grant from the Arizona Game and Fish Department and the support of the Arizona Chapter of the Safari Club International, CouesWhitetail.com, Southern Arizona Chapter of the National Wild Turkey Federation, Young Gunz Outdoors, Arizona Outdoor Women, Pass it On Outdoor Mentors, and numerous outstanding volunteers. Pre-registration is required! 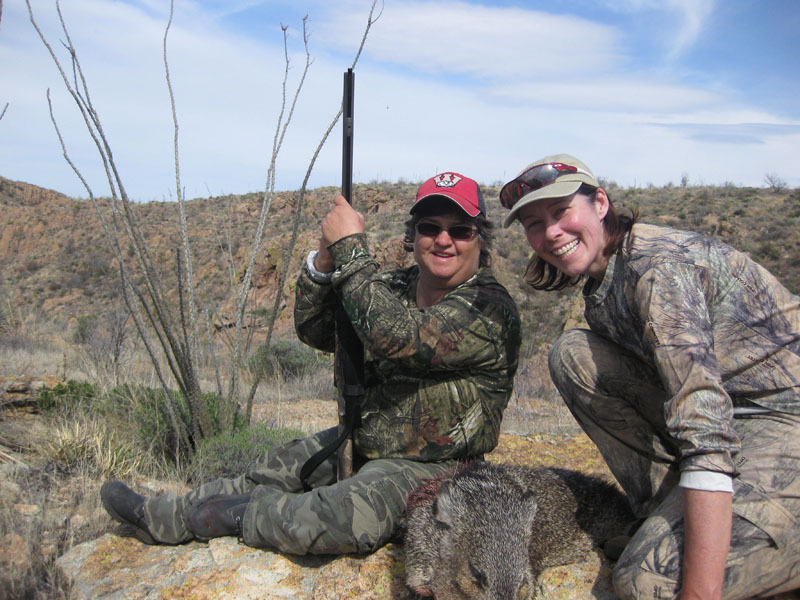 Enrollment for this camp will be limited to 30 adult women hunters. 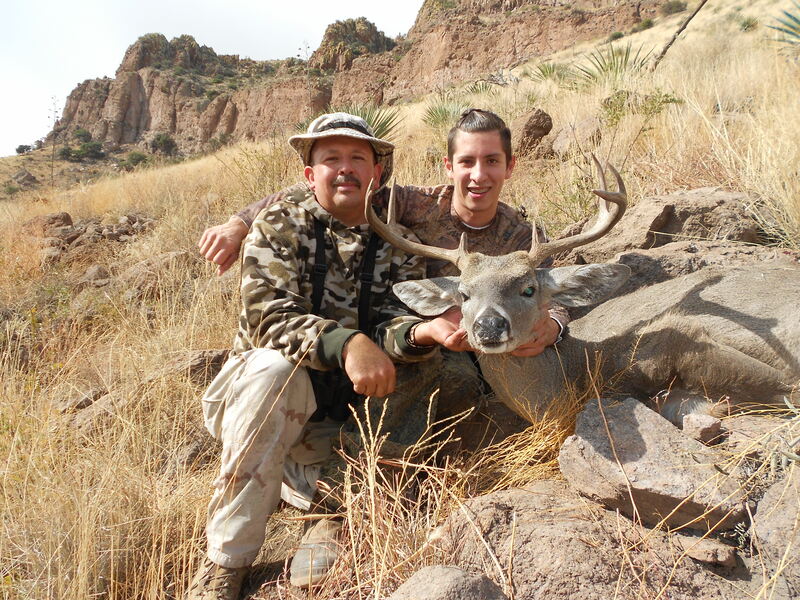 There is no cost to attend the camp, however in order to secure a spot at this camp, you must pre-register and you must purchase an AGFD hunting license and javelina tag for the Handgun, Archery, Muzzleloader hunt in Arizona hunt units 36A, B, C (hunt number 5076 or 5077 or 5078). Need help figuring out how to get a tag? Call Dewane Tabbot at Mesa AGFD office and he will help you out: 480-981-9400. We will not save a space for you at this camp if you have not pre-registered. We need to get a good head count for this camp so that we can make sure we have enough mentors and meals for everyone. Having a required pre-registration will assist us with this. All food and coaching will be providing free of charge to all participants at this camp. 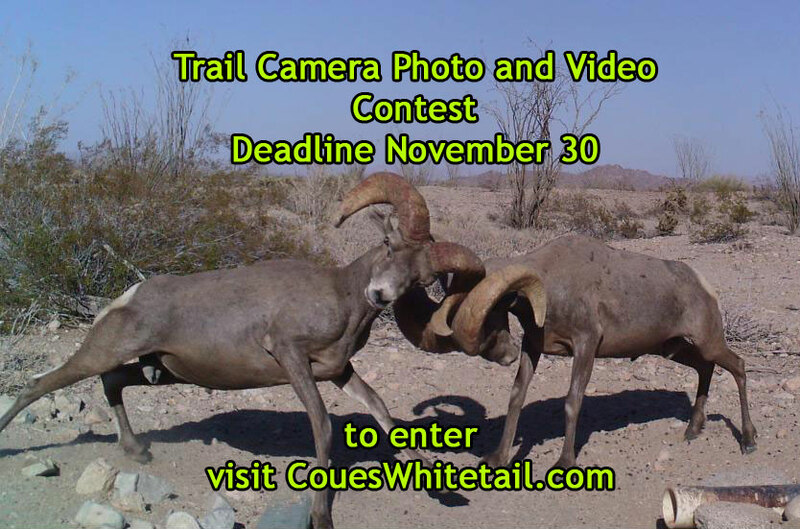 Please remember this hunt is geared toward teaching first-time hunters and novice hunters how to hunt. Since space is limited, we give preference to those with the least experience. We strive to provide a 1 to 1 student to mentor ratio, but we do not guarantee that. Students who have not previously attended the camp and those with the least experience will be given preference with regard to mentors. 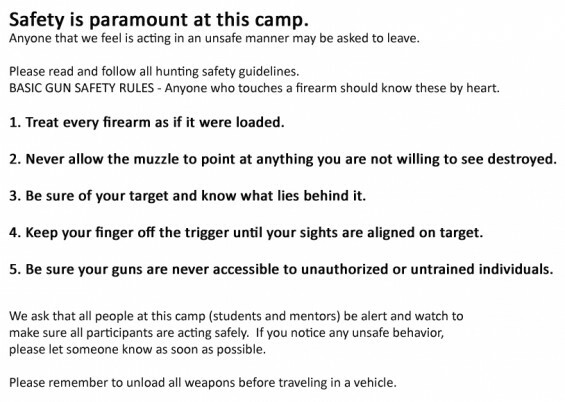 Those who have attended the camp multiple times or who already have significant experience hunting may be put on a waiting list and allowed to attend the camp if space is available. 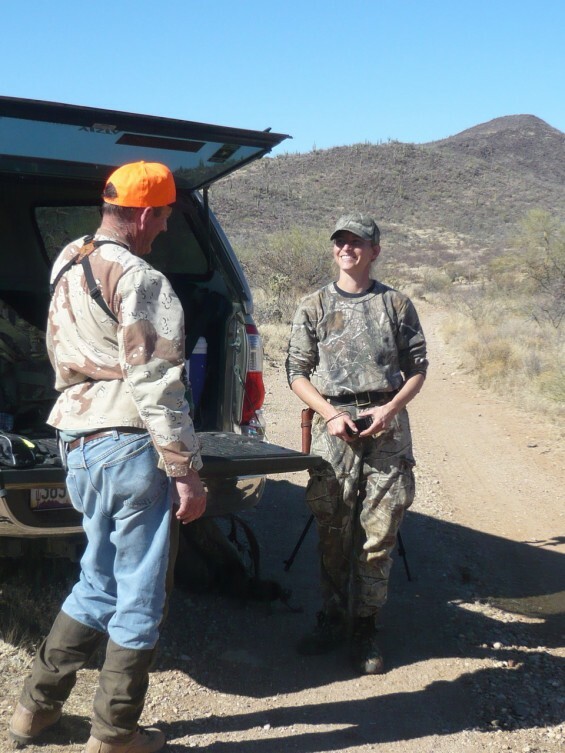 The focus of this camp is to recruit new hunters and give support to those still learning to hunt. To sign-up for this camp, please use this form. I would like mentors and students to fill out this form. You may complete the form electronically and email it back to me, or you may print it out and mail it to me using the address on the form. Please turn in that form as soon as you know you want to attend so that we can reserve a spot for you! 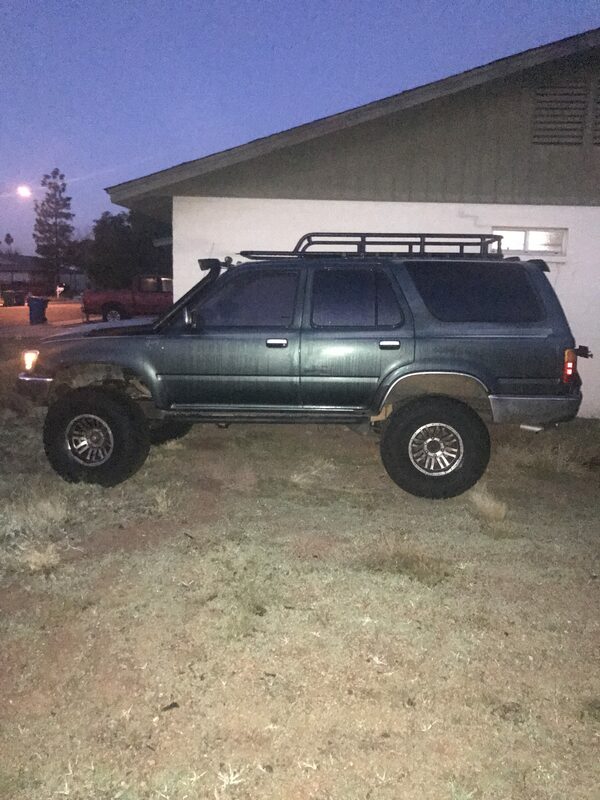 Need help figuring out how to get a tag? Call Dewane Tabbot at Mesa AGFD office and he will help you out: 480-981-9400. 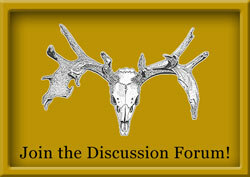 Anyone wishing to take a hunter education/safety course may find one here: http://www.azgfd.gov/i_e/edits/hunter_education.shtml There are several classes available that will be completed by the time this hunt comes around in February. You may also take the class online at your own pace. 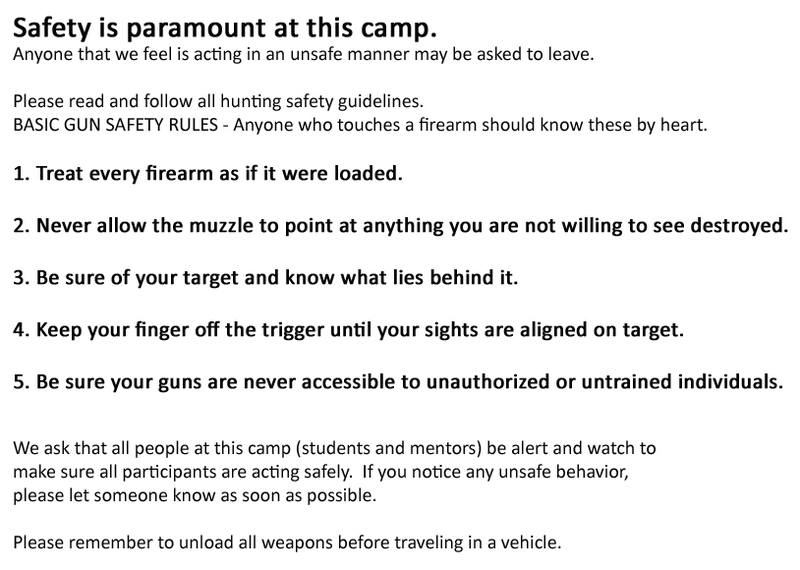 I highly recommend taking a hunter education class if you have not already (however, this is not required by adults attending this camp). 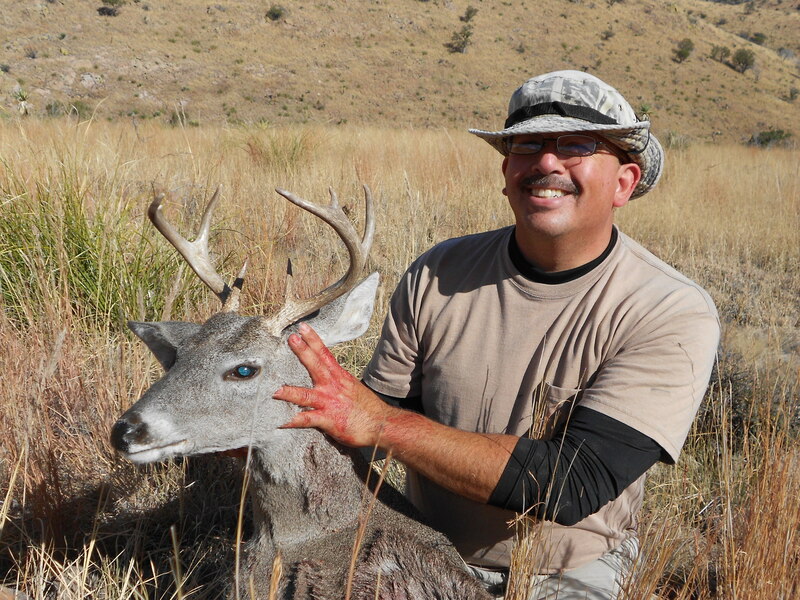 How to get a leftover tag for this hunt: Leftover hunt permit-tags can be obtained two ways. Beginning in late November, Game and Fish will accept applications by mail only in the same way as the regular drawing process. 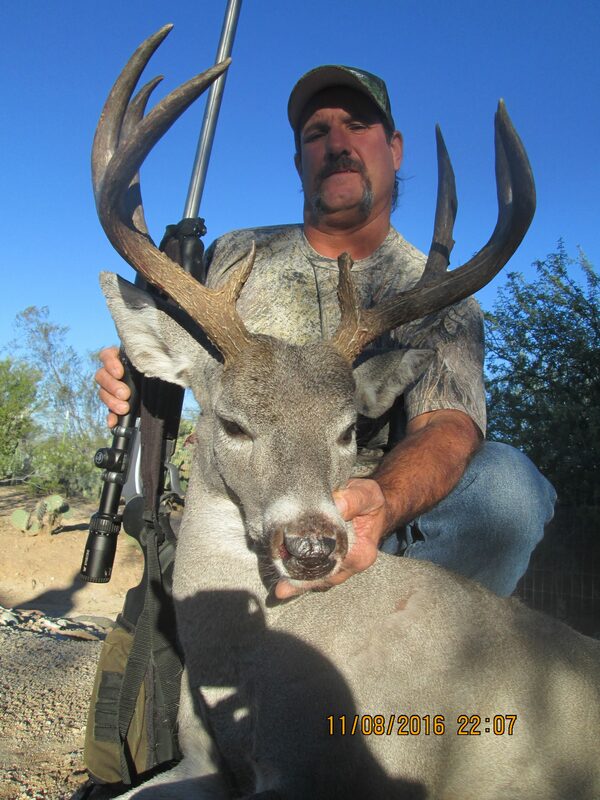 Then in early December, leftover tags are also available for purchase in person from any of the seven Arizona Game and Fish Department offices. A list of office locations is available at www.azgfd.gov/offices. Just drop by one of the AGFD offices and tell them what you want and they will get your squared away. 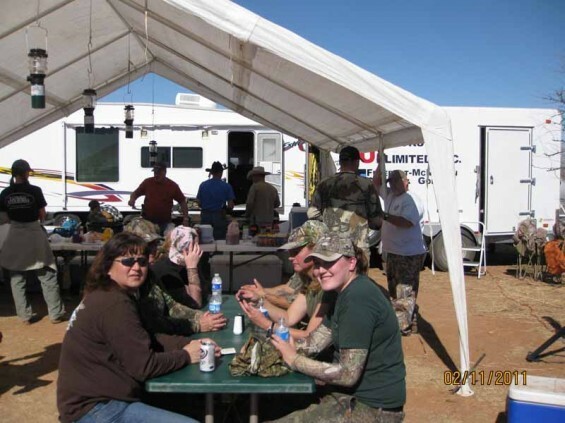 What is included at the camp: All your meals and drinks (non-alcoholic) will be provided. Every student that has a license and tag will be able to go out hunting with a mentor. We will strive for a 1:1 ratio of students:mentors, but we can’t guarantee that at this point. 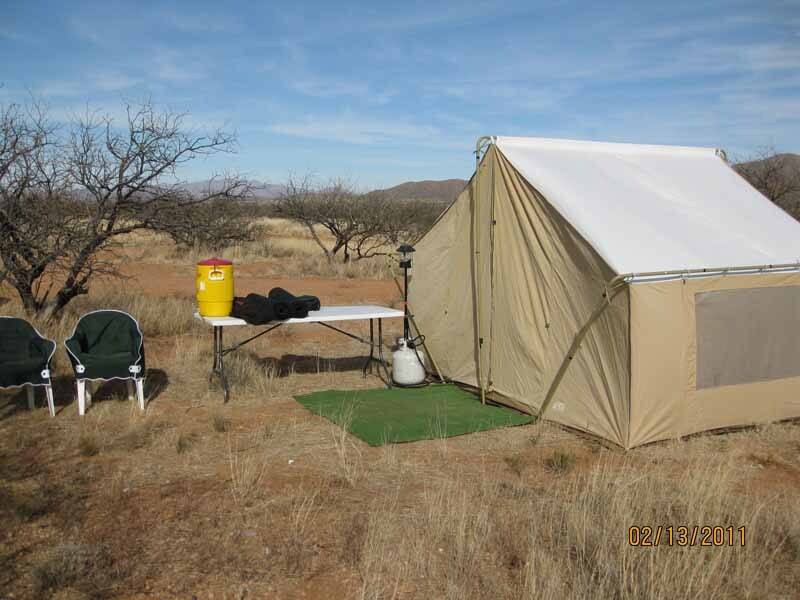 Thursday – Feb. 11, 2016 – Arrive in the afternoon/evening to set up camp and get ready for the hunt the next morning. If you can arrive earlier in the day, you might be able to hunt since the season will be open. Please coordinate with Amanda if you plan to hunt on Thursday. Personal Items: clothing, toiletries, sunscreen, hats, gloves, etc. It will likely be freezing at night and the early mornings, so please bring warm clothes. A camera is nice for recording some memories. A flashlight or headlamp will be useful at camp and during the hunt. Good hiking boots are recommended. If you are a light sleeper, you may want to bring earplugs as there may be people who stay up later than others at camp. We will also have generators running at times. 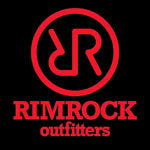 Camping equipment – tent, sleeping bag, sleeping pad. If you need some camping equipment, please let Amanda know(amanda@coueswhitetail.com) and we will see if we can find some to loan you. 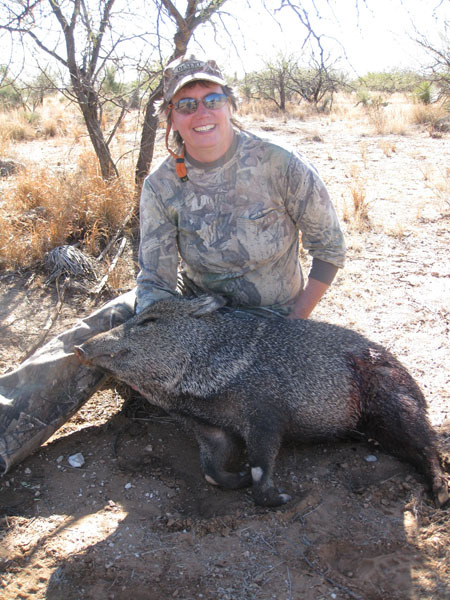 You will probably want to bring an ice chest in case you get a javelina and want to transport the meat and hide home. 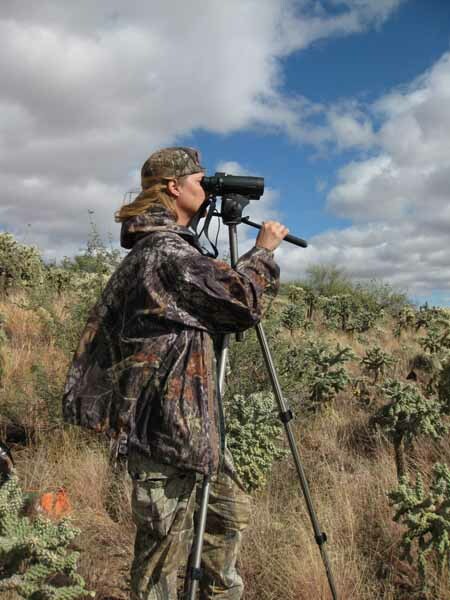 Hunting Equipment — backpack, hunting clothes (camo is best), a weapon and ammunition (handgun, archery or muzzleloaders only), knife, binoculars. If you have a tripod for glassing, you will want to bring that too. A range finder is very helpful also for judging distance of the animals for a shot. 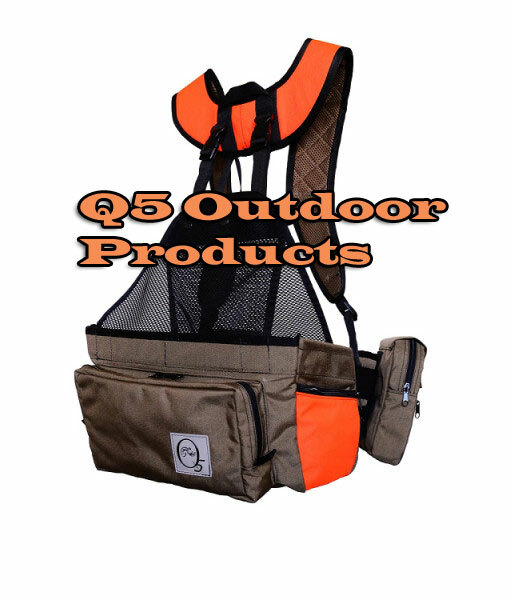 You should also bring a gamebag, some large ziplock bags, and a cooler to put the meat in. You may also want to bring a pair of small rubber gloves to wear while cleaning the animal. A Positive Attitude!! It is important that everyone come with a positive attitude and an open mind, ready to learn. We also ask that everyone be respectful and helpful to everyone attending this camp. We expect 60-100 people at this camp and so we ask that you go out of your way to maintain good relations with everyone. We want everyone to have a great time and a little courtesy will go along way. Photo of the Babaquivari Mountains. There are special rules that apply when hunting and camping on the refuge. 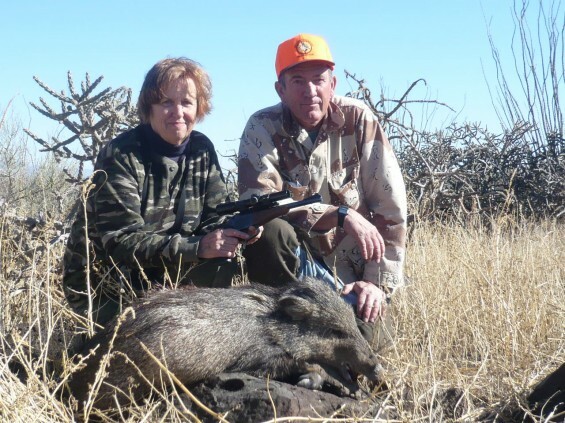 Javelina hunting is allowed on the refuge, but you may not hunt quail or some other species. We will be hunting on both US Forest Service Land as well as the Refuge, so different rules apply depending on the agency that oversees the land. 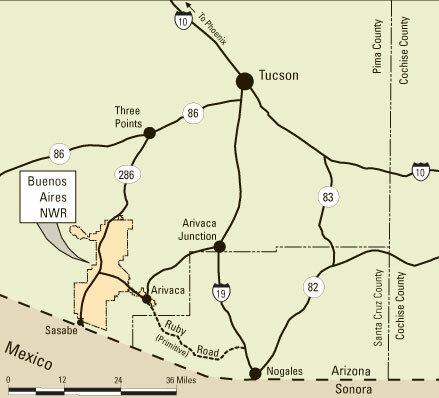 Directions from Tucson, AZ: From Tucson….go south on I-19 and go (about 33 miles from I-10) to the Arivaca Junction Exit 48. At the stop sign on the off ramp take a right to the next stop sign and then take another right and take your first left on to Arivaca Road and head west to the town of Arivaca about 23 miles or so, drive through Arivaca and stay to the right as the road drops down slightly after you pass the store with the only gas pumps, then drive for about 8-9 miles and take a right on to the High Gate North dirt road (there is not a sign, but there are some green fence poles there at the turn). 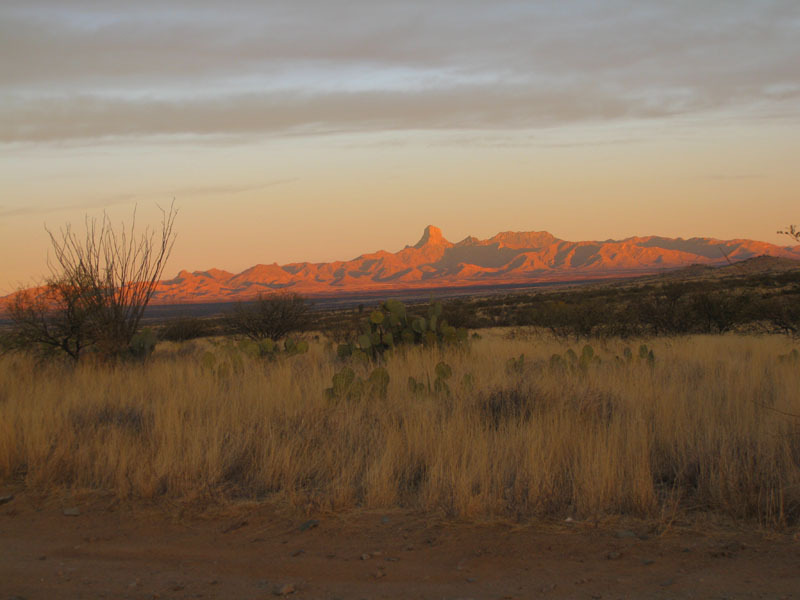 The High Gate North road is between mile markers 3 and 4 on the Arivaca-Sassabe road, closer to mile marker 3. The main camp will be at or near camp spot 38. There will be numerous camping spots around there so we can spread out. You may also reach the camp by coming south on highway 286 from Three Points. Around mile marker 12, you will see the Arivaca-Sassabe road that heads east from 286. Turn there and the High Gate North dirt road (there is not a sign, but there are some green fence poles there at the turn) will be located on the north side between mile markers 3 and 4 (closer to 3). 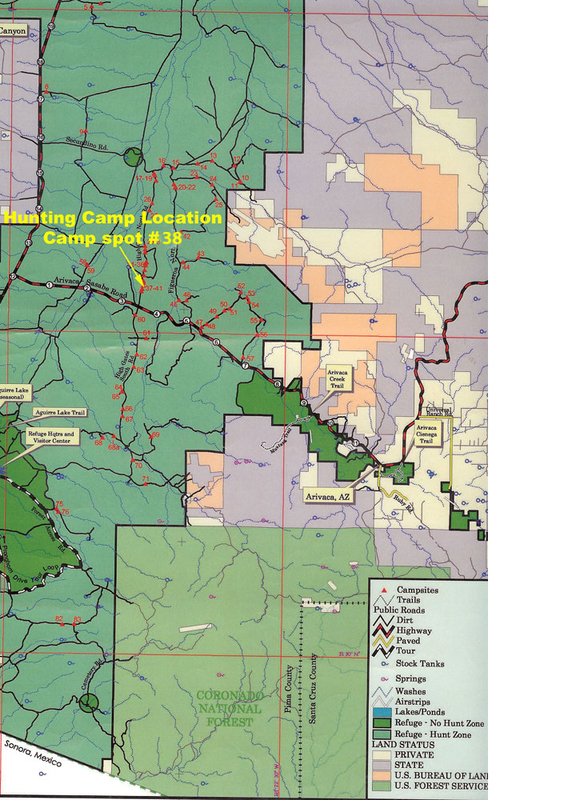 The main camp will be at or near camp spot 38. There will be numerous camping spots around there so we can spread out. (see map above for more details). Want to see more photos from last year’s camp? Click here.